Starting in the 1950s, Black radio stations around the country became the pulse of African-American communities, and served as their megaphone during the Civil Rights and Black Power movements. "Going Black" examines the legacy of Black radio, with a special focus on the legendary WDAS in Philadelphia. Hosted by Sound of Philadelphia (TSOP) music producer and Rock and Roll Hall of Famer Kenny Gamble, a 1-hour version and 2-hour version of this National Edward R. Murrow Award-winning documentary special are both available. "Going Black: The Legacy of Philly Soul Radio " examines the legacy of Black radio, with a special focus on the legendary WDAS in Philadelphia. The story of Black radio in Philadelphia is actually the story of a music that would have gone undiscovered, of Civil Rights and progress in the African-American community, and of how the radio medium has changed in the last century. The documentary special is hosted by legendary Sound of Philadelphia (TSOP) music producer and Rock and Roll Hall of Famer Kenny Gamble . For more about the program, visit our website: www.mightyradio.org . Today, a lot of people don't know what the term "Black radio" means. But starting in the 1950s, Black radio stations around the country became the pulse of African-American communities, and served as their megaphone during the Civil Rights and Black Power movements. 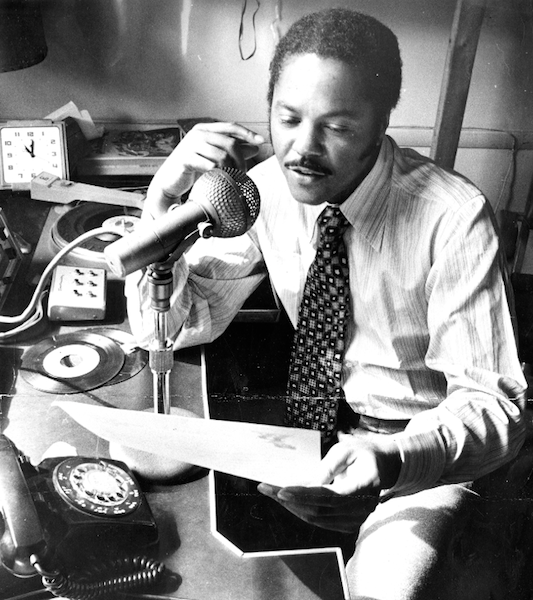 Stations like WDAS in Philly, WDIA in Memphis, WWRL and WBLS in NYC, WHUR and WOL in DC, WERD in Atlanta, WVON in Chicago, WLAC in Nashville, WMRY in New Orleans and KWBR in San Francisco featured radio personalities with styles all their own who played records you'd never get to hear on mainstream radio. Beyond being hip radio stations, these were pipelines into the Black community where you'd get the latest news on current events and the Civil Rights Movement — at a time when the mainstream media wasn't covering these stories from a Black perspective. The documentary features conversations with well-known disc jockeys, radio professionals, record company executives, musicians, journalists and scholars. Listeners will hear first-person accounts of Civil Rights events and rare archival audio of Black radio air checks from the 60s and 70s, including a 1964 interview with Malcolm X, just a few months before his assassination. The documentary also includes a soundtrack featuring R&B, jazz, gospel and soul hits from the 50s through the 80s, especially from the Sound of Philadelphia .